ProDrain® SD Series Strip Filter Drains are prefabricated drainage composites for the efficient filtering of groundwater. All SD drainage cores are encapsulated with a high flow geotextile that prevents long term blockage of the drain core by excluding the ingress of fine soil particles. 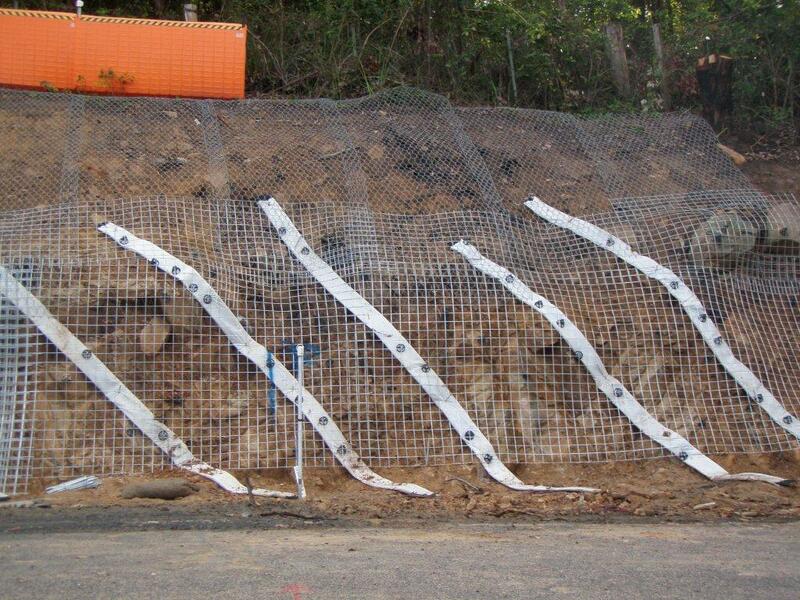 The core is made from HDPE polymer combined with a PP/PET geotextile. Both polymers are inert to a wide range of acids and alkalis likely to be found in a soil environment. vertical drainage components in cut face applications (behind facing systems such as shotcrete) and as a drainage collection system at the base of retaining walls. We also offer a complete range of purpose designed strip filter fittings that are complimentary to the strip filter drainage products and allow the greatest use of the product in a variety of inlet, outlet and maintenance applications that the ProDrain® strip filter product may be used. For more information please refer to the Technical Document located on the right. 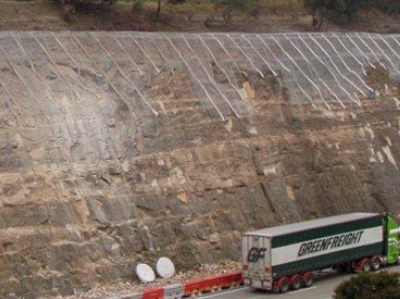 The use of ProDrain® Strip Filter Drain is an ideal product for use in combination with stabilisation treatments of cliff faces and steep slopes with shotcrete face treatments.